An excerpt from my new book, Cleansing The Temple. Kindle discounted pre-orders coming very soon. Ananias and Sapphira’s sin was lying about the amount of money they contributed to the thriving church in Jerusalem. But the greater sin was the root of why they did it. There was a great move of God going on during the inception of the early Church, which compelled many believers to sell their possessions and lay the proceeds at the apostles’ feet (Acts 4:34-35). Ananias and Sapphira wanted to be a part of this great move but for the wrong reasons, so they conspired together to lie about the total amount they were giving. “Then Peter said to her, “How is it that you have agreed together to test the Spirit of the Lord? Look, the feet of those who have buried your husband are at the door, and they will carry you out.” Then immediately she fell down at his feet and breathed her last” (Acts 5:9-10). The Church is referred to as the pillar and ground of truth. No lie could stand within it in its glorious beginnings. Have you ever thought of how the very first act of judgment in the early Church was concerning a lie? That is very significant. 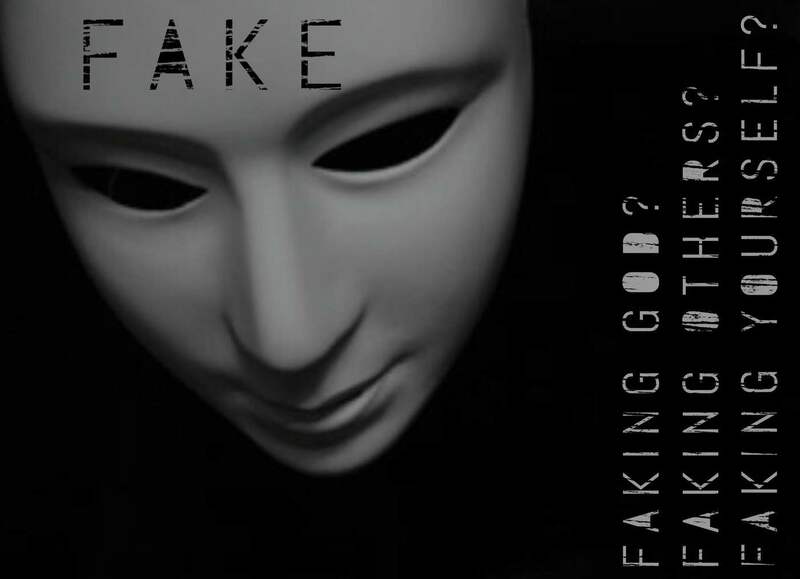 The lie represents a mask of religion and hypocrisy that fills many churches today and is diluting the glory of God. The early Church was cleansed and purged immediately from what Ananias and Sapphira were attempting to introduce into the local body in Jerusalem. “Beware of the leaven of the Pharisees, which is hypocrisy” (Lk. 12:1). Leaven is yeast, and it has a fermenting effect on dough, which is what causes the bread to rise. And since it takes only a small amount of yeast to transform an entire lump of dough, Jesus is warning His disciples that it takes only a little bit of what the Pharisees have to ruin a person. Paul said that a little leaven leavens the whole lump (1 Cor. 5:8). In Christ’s estimation, the conduct of these Pharisees had a leavening and corrupting effect upon those who followed their example. Just a tiny amount of the leaven of the Pharisees would be sufficient to turn a man into a bad and useless person. In other words, what Ananias and Sapphira were introducing into the young body in Jerusalem had the potential to ruin what God was doing. Was there malicious intent on their part to ruin anything or hurt anyone? I don’t believe so, but the glory was so pure and white hot in the early beginnings of the Church age that even a lie without presumed malicious intent could not stand. If it was allowed to stand and not be judged, it would have spread. A lack of accountability and righteous judgment today is a huge problem in the Church, enabling the leaven of sin to spread like a cancer. Biblical discipline is sorely lacking. First and second admonitions to correct the unrepentant are uncommon and dis-fellowshipping from such is nearly unheard of. “A man that is an heretic after the first and second admonition reject” (Titus 3:10 — KJV). I don’t want to excuse Ananias and Sapphira by telling you that there seemed to be no malicious intent to harm anyone. They did conspire together and agree together to tell this lie, and it was Satan that filled their heart to do this (Acts 5:3). That alone makes it evil and wicked. Masks of religion and veils of hypocrisy are a great stumbling block to the manifestation of His glory and power. God doesn’t expect perfection, but He expects honesty and transparency. The lie, veiled in hypocrisy, that was told by Ananias and Sapphira was against the Holy Spirit, and it is representative of the leaven that fills much of the Church today. The Greek word for hypocrite or hypocrisy is hupokrisis, which literally means “reply.” The word came to denote a theatrical performance by one who spoke in dialogue. Then it was used of play-acting, role-playing, pretending, and, hence, acting insincerely — hypocrisy. A hypocrite conceals his true motives under a cloak of make-believe. Today we have a generation of Ananiases and Sapphiras who would lie for the honor and glory of men rather than tell the truth for the honor and glory of God (Acts 5). Layers of lies and false projections and motives have produced veils of deception and masks of religion that have caused the glory to diminish and depart. If we learn to live in the sight of God instead of the sight of man, hypocrisy will be flushed out of our lives, and the glory of God would increase personally and collectively in the Church. The early Church had just been birthed and was localized in Jerusalem only at this time. It was yet in an embryonic stage of development. Just as doctors can often detect something wrong in the early stages of a pregnancy, so did the apostle Peter by the revelation of the Holy Spirit detect a lie in the Church. When people sell everything and come and lay the money at the feet of genuine apostles in order to distribute it among the needy, that is a major move of God. The love of money had no hold on these early believers. It was not a requirement for anyone to sell their possessions. They did it willingly. The problem was that Ananias and Sapphira lied about the amount they gave for the insidious reason of wanting to be esteemed in the eyes of man. The root of their sin was not in what they did, but in why they did it. Ananias and Sapphira avoided financial disclosure and tried to make the records appear as if they had given a larger percentage than what they actually gave. But the real motive connected to their lie had to do with pride and wanting to be highly esteemed in the church. It is one of the first teachings of Jesus in the Sermon on the Mount. “Take heed that you do not do your charitable deeds before men, to be seen by them. Otherwise you have no reward from your Father in heaven. Therefore, when you do a charitable deed, do not sound a trumpet before you as the hypocrites do in the synagogues and in the streets, that they may have glory from men” (Matt. 6:1-2). Ananias and Sapphira touched the glory of God with the desire for the glory of men. That was the root issue. In my humble opinion, this is also the root issue in the modern Church, and in every generation, it is the one thing that dilutes and diminishes the glory of God quicker than anything else. Jesus can only build His Church on purity and truth. When there are strong moral convictions about honesty and purity in all areas of our lives, and a true humility among ministers and saints, there will be a greater glory in the Church. Much of the glory we’ve had in the modern-day Church has been the glory of man. The reason there’s been so little judgment today like that which fell on Ananias and Sapphira is because of the absence of the true glory of God, for this level of severe judgment that produces death is always in proportion to the present level of glory. Consecration to God in holiness and purity is vital to increasing the glory of God in the Church.